It was the late 1990's. I was in Paris. And I thought it would be a fantastic idea to wear purple pants and tweeze most of my Cara Delevigne-like eyebrows (They were extremely thick.) off. If you do find yourself traveling in Paris with purple pants (or the sartorial equivalent) and no brows, you can still have a good time. A good place to drink Cafe Au Lait, but not Coca Cola? Brasserie Lipp. Again, they don't serve Coca Cola. Got that? I was told this repeatedly by our waiter who took way too much joy in his dragged out and disdainful pronunciation of Coca Cola. He also refused to translate any of the menu. How do you say jerk in French? Furthermore, if you happen to walk in to Brasserie Lipp with your brother who happens to be good looking, have white hair and wear Ray-bans and Diane Von Furstenberg is there (seated on the first floor because the 2nd floor is Social Siberia) , she may smile and wave in his direction, most likely because she has mistaken him for a) Ralph Lauren b) Giorgio Armani or c) the white haired actor from Cinema Paradiso. Unfortunately, this will not keep you, your brother and your mom from all being seated on 2nd floor. That's right - Social Siberia. Maybe you'll make it to Sephora on the Champs Élysées - Bragging rights for that, but now can we talk about Parisian Salons? No, not the intellectual ones, I'm talking about hair salons. One thing you may not be able to do while you're in Paris is get your hair blown out CBK straight. Despite having taken 3 torturous years of high school French (a big chunk of it spent translating the original version of Les Miz, only to find out - SPOILER ALERT - that Jean Valjean went to jail for something like 100 years for stealing a loaf of bleeping bread! ), I was unable to make myself understood to anyone in the salon. That's how I ended up walking around Paris with decidedly poufy instead of pin straight CBK hair. Oh well. 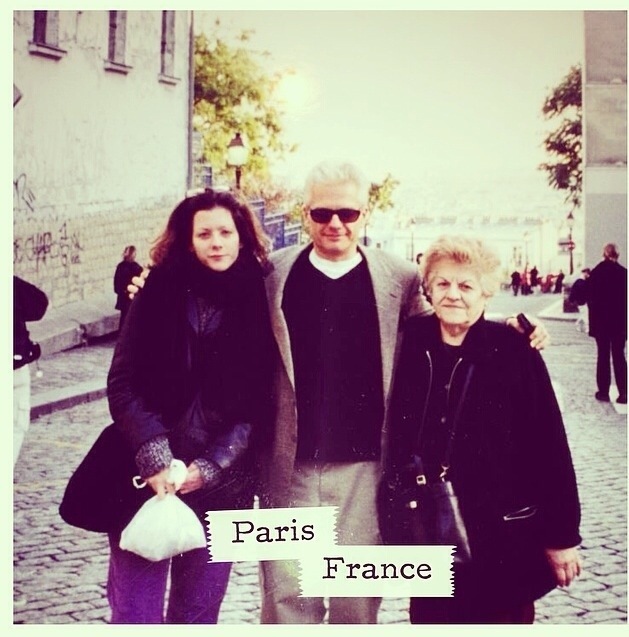 There are worse things than walking around Paris with poufy hair, purple pants and no brows - the pictures of me walking around Paris with poufy hair, purple pants and no brows. Those are definitely worse. Who The Heck Is Bill Cunningham?